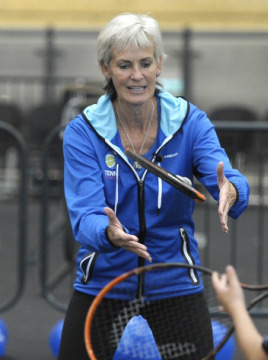 Almost anyone can get involved in Tennis on the Road. You could be a parent, teacher, coach, volunteer, active schools coordinator, sports leader or nursery school teacher etc – this programme can be tailored specifically for you and your community. All we need is space equivalent of a badminton size court, such as an assembly hall, playground, park or tennis court – both inside or outside, we can be there rain or shine! 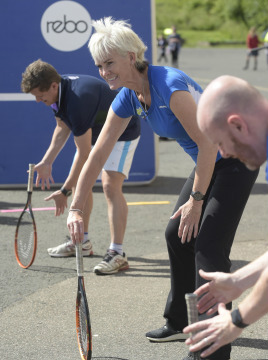 Tennis on the Road is predominantly for adults who will gain the confidence and knowledge to run their own 5-week programme for their class, club or their own children at home. We will need children to take part in the demonstration, and the more adults we have in attendance then the more children that we can have participating. We will need around 2 hours to deliver the session, however we can be flexible on when they happen as we appreciate everyone leads busy lives these days. So whether it’s first thing in the morning, at break time, in your PE lesson or after school club, later in the evening or even at the weekend, we can work around what is most suitable for you. Ok I'm in! What next? 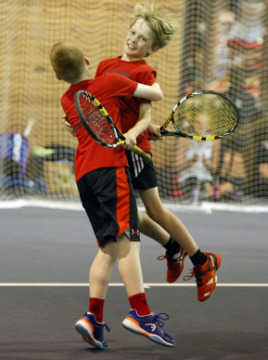 To register your interest in getting Tennis on the Road to you, please complete this online form. Remember it’s free, we just need enthusictic people who are wanting to make a difference.